Utilizing industrial vending systems at your business is a great way to manage your tool inventory and store your industrial tools in an organized manner, making it easy for your employees to find the tools they need for day-to-day tasks. 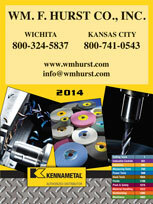 If you have a business in Kansas City, Wichita, Dallas, Fort Worth, or another city in the Midwest and want to incorporate industrial vending systems within your facility, then turn to Wm. F. Hurst Co., LLC. We offer inventory management solutions from industry leader CribMaster, with traditional vending strategies and a line of RFID tool tracking solutions. 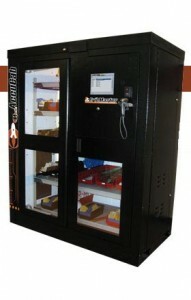 These vending systems offer a wide range of benefits, including the ability to improve a company’s ability to manage its tooling inventory, improve inventory turns, and reduce operating costs. The benefit of choosing Wm. F. Hurst when you want to employ an industrial tool vending system at your facility is our expertise with these specific products. Our associates have more than 15 years of experience working with CribMaster inventory management and tool tracking systems, and we have an in-house expert who specializes in vending and integrated supply solutions and can answer any questions you may have. To learn more about CribMaster industrial vending systems and the impact they can have on your business, please contact Wm. F. Hurst today. We serve companies in Kansas City, Wichita, Dallas, Fort Worth, and other cities throughout the Midwest.